When walking through the hallways of HSE, students may catch a glimpse of staff members standing at the doors of their classrooms, waving and smiling at the people that pass by. Strolling by these individuals each passing period, you may give a friendly smirk or gesture and then continue to carry on with your day. Seven minutes to get from one class to another just isn’t enough time to pause and have a meaningful encounter with someone. As a society of students, we fail to truly take time to stop and make conversation with adults in our school and we often treat faculty members simply as formal instructors, not mentors that can have a lasting impact on our lives, if we just get to know them a little bit more. Watson George, a former substitute teacher, and now Instructional Assistant at HSE, not only continues to impact the lives of the students he meets within our school, but makes his mark beyond the doors of Hamilton Southeastern. Infact, he impacts individuals beyond the borders of Indiana, and directs his focus towards those in his home country, Haiti. George was born in Haiti, two hours north of Port-au-Prince, the country’s capital city. He was rescued by a missionary after being abandoned and later was placed in an orphanage. George lived in Haiti until he was adopted by an American family from Washington at the age of six. After Haiti was struck by a devastating earthquake in January of 2010, George believed it was time to return to his native country. He had an opportunity to return to his Haitian community in 2012 and reconnect with his family with the help from a familiar organization. While on this life-changing trip, George began to take his first steps towards helping the struggling members of the place he previously called home. 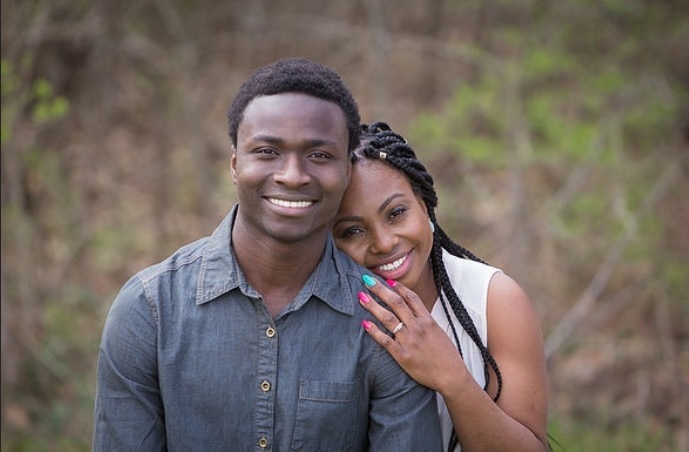 Not only did George share similar childhood experiences with the Haitian natives he met during his reunion trip, but back in the United States while attending Anderson University he met his wife, Madisyn, who also shared a related history with him as well. Madisyn was also born in Haiti, rescued by a missionary, and had the desire to reconnect with her biological family back home. The two got married and they both had a craving to serve and care for others, especially for those back in Haiti. Beyond Me Initiative (BMI) is a non-profit formed by the couple in 2015. Since then, the establishment has raised over $30,000 to fulfill their mission of “investing in job creation, build on the assets of local people, and increase the economic growth of Haitian communities.” In the past two years, BMI has been able to make a difference in six communities. The organization takes a different approach when raising funds, rather than just simply asking for donations.